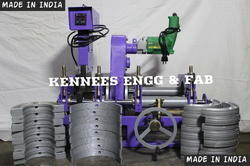 Prominent & Leading Manufacturer from Thane, we offer hdpe manual operated pipe jointing machine. Weight Total Weight With Insert Clamp 70 Kg. Production Capacity: Per Month 20 Nos. Looking for HDPE Manual Operated Pipe Jointing Machine ?